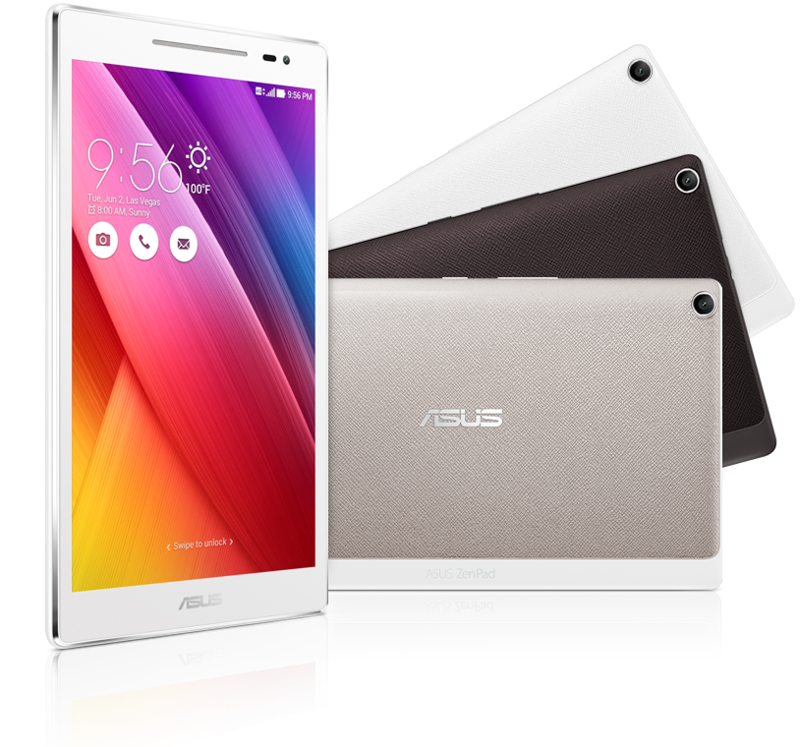 Publishing: NTales Grand Launch Comes Great Features! Updates to guilds, costumes & Challenging Coliseum! Saviors are needed more than ever to keep the horde of monsters inside the Coliseum! Queen Laminia has released their latest research in Costume upgrade and enhancement to assist all Saviours in this challenge! After a successful Global Launch; listening to feedback from players, and developing the much-requested features; comes the Grand Launch of 2D Pocket RPG NTales: Child of Destiny together with its biggest content update yet! SOUTH KOREA — Queen Laminia is calling all Saviours to once again take up arms and save the Kingdom of Lancia as hordes of monsters amasses in the newly opened Coliseum! The Queen’s research team also released their latest Costume Upgrades and Costume Enhancements technology to assist all Saviours in their quest to save the world. These and more updates are coming as RuleMakr releases its biggest update to NTales to celebrate its Grand Launch! From the long-awaited guild features—increase in guild members, the availability of guild stores; too amazing costume updates; a challenging Coliseum to conquer; and plenty of powerful buffs! With today’s major content update to NTales, guild members will be delighted to know that they can now change their respective Guild logo and clearly show everyone which powerful or coolest guild they call their family. In addition, Guild Masters can now post guild announcements and level-up their guild which grants an increase in their maximum membership and additional guild buffs! Change your Guild logo and post a Guild announcement! New Events with Awesome Rewards! NTales also announces the discovery of Upgrade Stones and Enhancement Stones which were found to give costumes 2% and 15% increase in all stats up to 10 grades! These upgrades and enhancements together with the new buffs, Saviours should be able to conquer the newly opened Coliseum full of mobs. The Queen has also declared rewards for those that vanquishes the most monsters and defeated the reigning Coliseum boss. More Events and Awesome Prizes! If that was not enough, the team prepared events for both new and old players. From daily login rewards to free costumes, and hot time rewards, players will surely have enough supplies for their mission to save the kingdom! Don’t miss out on these events and awesome prizes! There’s no better time to stop the evil encroaching on the borders of the Kingdom of Lancia than today! Get the latest NTales: Child of Destiny only at Google Play to enjoy these new and exciting features! For more information on the Grand Launch content patch, players are invited to visit the official Facebook Page and join our PLUG Community. NTales: Child of Destiny is a complete take on MMORPG. This new game offers the multitude of battles, exploration, and special features. Enjoy this new 2D Pocket RPG style! A linear storyline or get distracted with interesting sub-quests. NTales added twists of MMO by implementing Raid Parties, Guild War and PvP. Fighting along your side are adorable and powerful monsters with a PvP Mode of their own! A 2D Pocket RPG you surely can’t get enough! Summon Pet, enjoy various PvE and PvP game modes! Classic hero classes to choose from but a wide variety of class builds to your preference. Accomplish impossible missions and side-quests! Gear up your class with great costume, wings, unique equipment and items! Summon cute and powerful pets to fight along your side! Tag along your friends to defeat Boss Dungeon, join guild and party with peer! Choose from 3 Classic Hero Classes: Warrior, Magician, and Cleric! Journey to over 200 Maps – Sharpen your skill to defeat the monsters! RuleMakr is a Korean Development Company recently established and aims to bring forth quality and new games from Korea worldwide. This entry was posted in Articles, Publishing and tagged 001, above, and, android, arpegi, be, best, bonus, buttonsmashers, cheats, codes, costume, costumes, event, free, full, gameplay, Google, grand, guids, information, jea, Jonez, jonez001, jonezjea, kit, mmorpg, more, neko, NekoJonez, nt, pack, patches, play, player, press, release, rest, shop, smartphone, store, tales, The, updates, with on April 17, 2018 by NekoJonez. So, thanks to Games With Coffee, my blog is an award richer. In total, I got 2 awards from other websites. Feedspot and MarketInspector gave both gave me an award. In addition to that, my gaming blog got a few other community awards. 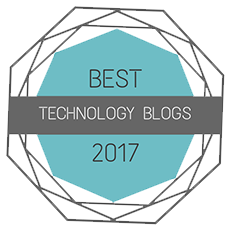 The Versatile Blogger in 2013, Liebster Award in 2014 and The Blogger Recognition Award in 2017. So, this is the 6th one. Now, thank you so much for the recognition! So before I go in the community part of the reward, allow me to say a few words. So, besides working on my own content and blog each and every week, I like to help and support other bloggers behind the scenes. In 2013, I started with this blog, but I have been blogging since 2010. In 2010, I wrote a Dutch blog that now got deleted and replaced by this blog NekoJonez’s Gaming Blog. While I just enjoy writing articles as a hobby, the fact that people do read my content, like it, comment on it, share it… just makes me happy. It gives me a special feeling when I got support from anybody. I’m just a hobbyist writer who loves to talk about my game collection & my opinion on the gaming market. In any case, I can talk about this for hours, but I’m not going to let this part drag on for too long. Thank you for this award and I can’t wait to see what 2018 will bring. Be sure that there will be a lot more collabs and guest featured on my blog! What qualities or characteristics in a villain from your favorite game or series do you admire and why? I have a few favorite villains to be honest, but talking about their characteristics might spoil the whole experience in some cases. I do enjoy villains with an amazing twist, something you don’t see coming like in Zero Time Dilemma or in Bioshock Infinite. Another villain I really enjoy is Sachiko Shinozaki from Corpse Party. The false sense of security she lures you into, that’s something I really like in the Corpse Party series. To be honest, I really like villains that have a reason to be evil. Those stick out more to me. Even when you see the identity of the villain coming from miles away, like in A Hat In Time I honestly don’t mind. Even when you know the big bad guy from the start of the game like in Tomb Raider, I enjoy that he has a reason to be evil you know? What I don’t like in villains is that when near the end somebody betrays you since he or she was the big bad guy all along. Or a bad guy who is just there to be the bad guy. Except when I’m playing a kids game from my childhood, then I can excuse it. But, that’s not an answer to the actual question. My answer is the villain in Zero Escape Time Dilemma. Without spoiling too much, I’ll say this. After playing the three games in order and getting surprises, twists and turns left and right; the ending to the series is pretty good. It actually stuck with me for a while and made me think about the whole series for weeks after that. The reasoning and the ideology of the bad guy are so screwed up but logical at the same time, it’s something to think about you know? 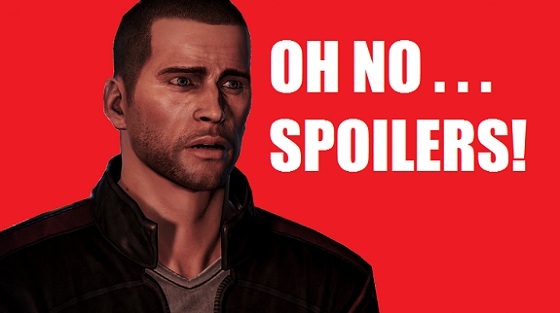 That’s all I’m going to say without getting into spoiler territory. If you could choose any character from any video game to become for a day, who would you choose and what (with their special abilities or powers) would you do in that timeframe? It was tempting to cheat here, to say something like Hat Kid from A Hat in Time or Link from Majora’s Mask. The reason why is that they can both manipulate time and I could restart the day easily when it was almost over. Why would I choose Hat Kid? Well, because I want to live in her adventure. I fell in love with the charm of the world and I wouldn’t mind living in it for a while. Why would I choose Link from Majora’s Mask? Well, I played Majora’s Mask when I was pretty young. I had a fascination with masks/suits that provide you with special powers. This was because I recently saw The Mask movie with Jim Carrey before I played Majora’s Mask. I was about 9 years old back then, so I always imagined that one day I would find a mask that transforms me into a certain creature when I felt like it. Oh, innocent child imagination is interesting is it not? If I’m allowed to choose a character that can’t mess with time, well, currently I would have to go for Indiana Jones from the Indiana Jones games. I know, I know; he is a movie character in the first place. But, he has appeared in a whole slew of games. And, if I would be able to be him for more then one day, I would love to go through one of his gaming adventures like The Infernal Machine. And if I have to choose a character that only appears in gaming; well, Frederica from Etrain Odyssey Untold. Oh yes, her personality and all that is so similar to mine in some aspects and her role in the story feel just right for me to be for one day. And what would I do in that day? Well, just explore the labyrinth with the rest of the gang and have the biggest adventure of my life that only 24 hours can give. In your mind, what constitutes a Mature, Distinguished Gamer? A pretty simple answer here, in my opinion, somebody who is able to keep an open mind about gaming. Somebody who plays retro and modern games. Somebody who doesn’t play the latest of the latest game because of hype train, but plays the games he or she wants to play. Somebody who helps other gamers with their problems but also sharpens their skills so they look “cool for the young kids”. If you want to talk about the big names in gaming who for example run the big blogs or own the big YouTube channels, I think that the people who get furthest are the people who stay true to themselves. Somebody I really look up to is Clint aka LazyGameReviews. His gaming skill and maturity he presents his content is just an inspiration to me. In my mind, people like him are mature distinguished gamers. People who aren’t afraid to say their own opinion. Like Caddicarus is also a great example. Somebody who stays true to themselves and don’t go talking about the latest new thing but talk about what they want to talk about. Also, mature gamers don’t talk down to younger gamers or games meant for younger audiences you know. That’s the short version of my answer, I could talk more about this, but this article isn’t the place for that. While I could nominate a few people Games With Coffee did, I decided to not do that and give a few of my other blogger friends the spotlight. To keep the list a bit short, I decided to pick a few at random, but to be honest, if I could this list would be miles long. Amongst a lot of others. Seriously, you all deserve more awards for creating a better community and the work and effort you put into your blog, support me and other bloggers, it’s just fantastic. So, these are the rules for this community award. Display the award. (See above). Thank the individual(s) who have nominated you and include a link to their blog. A little promotion for their blog is also welcome. Answer the questions asked by the individual who has nominated you. Nominate an arbitrary number of bloggers and have them answer three questions you put forth to them. If you were able to erase all memories from one game to be able to fully experience it again, which game would it be and why? If you were allowed to help in the production of a game, which role would you take on and why? The role of producer, voice actor, writer, designer…? What is one of the earliest video game memories? Thank you for reading this article and I hope you enjoy it as much as I enjoyed writing this! Thank you for the award Games with Coffee for the award! The fact that you got it too is well deserved in my opinion. I hope to be able to welcome you in another article, but until then have a great rest of your day and take care! Also, remember if you aren’t reading this on NekoJonez’s Gaming Blog (https://arpegi.wordpress.com), this article might be stolen. Yes, this is a test to see how much theft is still going on by a theft website. So ignore this section please. Okay? Thanks! This entry was posted in Articles, Collabs and tagged 001, a, admire, adore, adventure, and, arpegi, award, be, blogger, Character, charactistics, coffee, community, day, distinguished, Double, falcon, for, game, gamer, games, honest, hundstrasse, hungrygoriya, in, interactive, iplayedthegame, is, jea, Jonez, jonez001, jonezjea, jump, laterlevels, mature, mind, neko, NekoJonez, one, otaku, overthinkerY, plate, question, real, Reaper, Reviews, rules, sheikah, tags, thankful, The, time, unique, villain, villian, which, why, wins, with, WordPress, words, would, you, your, zone on January 7, 2018 by NekoJonez. Preview: SkullStone (PC) ~ More Oldschool Dungeon Crawler Fun! It’s time for something completely different. This week, I’ll take a look at a game that is still in development and doesn’t have a demo yet. The fine folks over at Black Torch Games sent me a request to take a look at their upcoming game SkullStone. It’s a dungeon crawler. I have played a lot of dungeon crawlers. I have also written articles about some of them. Like Etrian Odyssey, Venture Forth, Delver and Pokémon Mystery Dungeon. If you want to know more about the genre and gameplay style Wikipedia has a great article on it. As usual, feel free to leave a comment with your opinion on the game and/or the article. Wanna see the game in action? On their YouTube channel, you can find various videos where they show off the content of the game. They already released one of the tracks of the soundtrack in the game. If this is an indication of the quality of the soundtrack, I think I might add the whole soundtrack to my library. Seriously, it gives off the right mood for an adventure down in the dungeon. But on their YouTube channel, they show off early content. Remember, the game is still under development. But, I honestly think that what’s shown so far is amazing. I honestly can’t wait to get my hands on it. The people of Deepkar send for help. Evil creatures spew from the ancient structure – Skullstone – which appeared in the forests. Killing men, snatching women and children – they bring terror to the hearts of good people. Heroes are needed to deal with the growing threat once and for all… But reality is there are no heroes in this world. All of those who came here to aid people of the Deepkar village in their struggle won’t do it for just a few words of appreciation. Money and treasures is what they want. And fame for some of them. They are mercenaries and this is yet another great opportunity to earn a coin. Choose among 20 characters, each with different set of skills and abilities, ready to fulfil different roles in your party. Healers, offensive and defensive magicians, front-row fighters – you name it. Build your team according to your play style. This is going to be very interesting. I think the story of the game will be about a town that’s in dire need of help but doesn’t want help from adventures. Since they despise adventures for their greed and lust for fame. So, I’m curious. What will your characters be? One of many that are going to try and prove themselves or mercenaries? We will know when the full game releases! From the FAQ page from their website, we also learn that this game will mostly focus on combat. 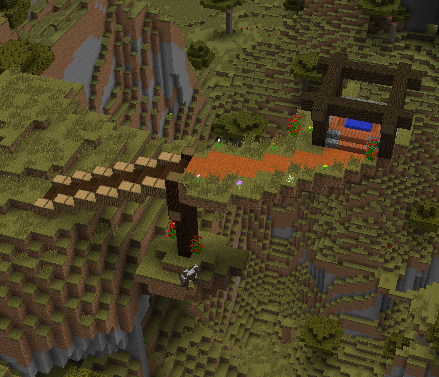 But not only that, it will have exploration and puzzles. I’m a bigger fan of the puzzle and exploration aspect, but if the game has interesting battle mechanics, I’m down for a fun time as well. Also, from looking at the videos and the screenshots on Twitter and Facebook, I think the game looks great already. For such a small team working on this game, it looks amazing. Only the animations should be polished a bit more, but to be fair, they said in the videos that they are working on that, so I’m not worried about that. The only thing that isn’t clear to me are the controls. So far, I only see that the mouse can be used to control the game. I hope that in the finished product, you will be able to use more than only your mouse and bind all or most actions to a button on the keyboard. I have looked at the press material, YouTube videos and through various social media posts; and I have some suggestions or wishes for the final version of the game. #1 – Something I love from Etrian Odyssey is the fact that you can add notes to your map. I think that would be a great feature in this game. Like, you buy a scroll in town and you can put it on the wall to help guide you or when you need to go back to that spot when you retrieved a certain item. #2 – A difficult mode without a map. Since this game took inspiration from old school dungeon crawlers, I think it would be an amazing feature if you don’t have a map in-game. That way you have to either draw your own map or try to remember it all. But, I would make it an optional difficulty, since not every player would be down for that. #3 – Randomise! Well, this is a very tricky one. At one hand, I’m hoping for the game to tell a big story with a well-crafted dungeon like in Orcs & Elves. But on the other hand, I’m also hoping for something like Delver. I think a fine compromise would be a challenge mode where you go into a randomized dungeon with the most difficult enemies in the game in the most tricky situations. I think I would get a lot more ideas to suggest as soon as the game or the demo releases. So, they would blow my mind if they implement one of these features. Or if they are already implemented or on the “planned list”. So, the game will only release on Windows PC. The game release date will be later this year. The developer told me that this game won’t have a certain target audience so everyone will be able to enjoy it! Also, the developer told me they are going to send me a copy of the game when it’s released. So, you will also see a review of the game right here! I think I said everything I wanted to say about this game. I urge you guys and girls to check this game out. Keep an eye on it, since I think it has quite a lot of potential. Thank you for reading my article on the upcoming game SkullStone. I hope you enjoyed reading it as much as I enjoyed writing it. I hope to be able to welcome you in another article on my blog but until then… have a great rest of your day and take care! This entry was posted in Articles, Preview and tagged 001, 2017, be, blacktorch, crawler, demo, dugeon, first, for, full, game, games, impression, in, information, jea, Jonez, jonez001, neko, NekoJonez, Of, Preview, released, skullstone, The, will, wishes on February 11, 2017 by NekoJonez. So, this week I have been playing a lot of games. But sadly enough, I haven’t gotten far enough in most of those games in order for me to write about them. But, I got caught in some music tracks and even hummed them while going to work. So, I think it’s time for another article about my favorite gaming music! Remember, in this series, I only talk about the track how it is in the game. I restrict myself that I can only select one track per series in each article. And as usual, feel free to leave a comment with your favorite gaming tracks and/or your opinion on the ones I picked here. I look forward to see your selections. Oh, one quick note before we begin; in this list I only talk about games I have played. In any case, enough stalling! I hope you are ready since here we go! So, on the 6th of September, we get a new Ace Attorney game. I try to stay away from trailers and promotional material to avoid myself getting spoiled. But from what I have seen, I have been trying to puzzle together what the main focus is going to be in this game. And believe me or not, this track was playing in my mind. This track plays when you are trying to build up the logic to disprove somebody in court or while investigating. It’s a really amazing track that fits the mood well. You really feel like you are putting all the pieces together. I’m so glad a variation on this track returns in every game and here is hoping that it returns in the 6th main game in the series, Spirit Of Justice. If I wasn’t clear last week in my review; I love the soundtrack to this game. I had truly a hard time picking just one track for this article. So I ended up listing to the whole soundtrack twice in order for me to pick just one track for this article. So, then I decided to pick this track since it introduced one of my favorite characters in the whole game. I’m talking about Nonoka, she is a shinobi with a cardboard box on her head. You can see her in the middle of the right hand side on the box-art. Her personality and locality to her master is written so well. But not only that, her abilities in battle were a blessing to use. On top of that, her voice actor (Cristina Valenzuela) did a pretty stellar job of voicing her. It brought the writing to live and made me fall in love with the character even more. And her introduction with this track was just amazing. Seriously, one memorable moment that will stick with me for years to come! The energy of this track is just fantastic. The first time you hear this track is in battle in an Asian-themed town. It fits the setting extremely well. It makes me excited to win the battle and try to fulfill the special conditions of the battle as well. In all seriousness, go give the full soundtrack a listen, it’s truly worth it in my opinion. The finale of one of my favorite visual novel series ever made did not disappoint. 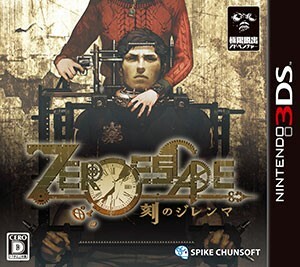 It’s sad to see the Zero Escape series go. I’m crossing my fingers we will see another game in the series or a new project by the mastermind Kotaro Uchikoshi. The composer of this track, Shinji Hosoe, did an amazing job composing this track. The moments when it plays in the games is always spot on. It really made me cry in Virtue’s Last Reward. But this remake for Zero Time Dilemma made an even stronger impact on me. Yes, there were waterworks. When I preparing, and again while writing, for this article I got distracted by all the people who played covers and remixed this song. It such an amazing track to listen in certain moments. I truly am lost for words to describe this track. It’s one of the tracks I really advise you to play the games and enjoy. It’s really that good! 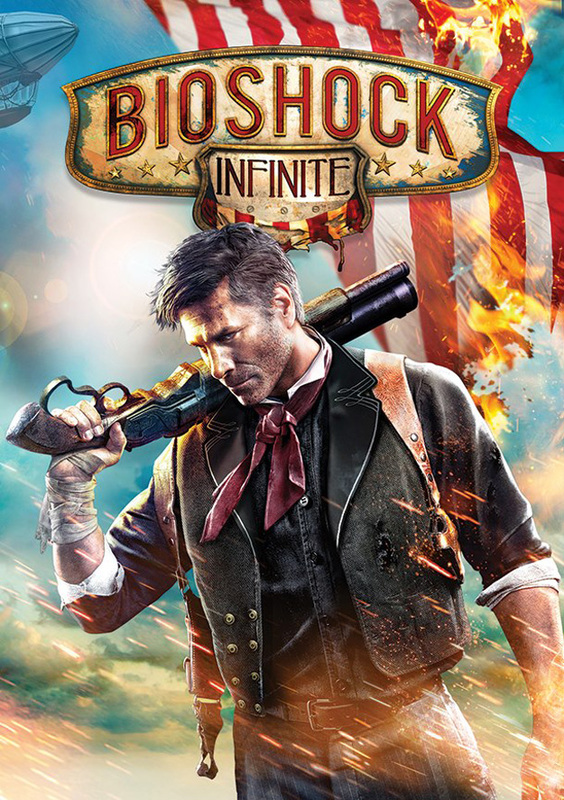 Bioshock Infinite (PC) ~ Will the circle be unbroken? I don’t play a lot of shooters. But when a shooter comes around that present an amazing story, I can’t stop myself from giving it a try. The BioShock series took me by surprise. I remember reading a previous about it when I bought PC Gameplay. That was almost 10 years ago. I was around 13 years back then. I started playing this series in 2015 and I finished the last DLC not too long ago. If I’m really honest, this game might be one of my favorite games I have played in 2016. I’m actually considering to replay the series from start to finish in the near future. This song is one of the first songs you hear in the game. The scenery is just so strong that when I close my eyes while listing to this song, I’m able to see the scenery of this game. How the game starts. At first, I thought this was an original written song for the game. But, while writing the review, I discovered that this version is inspired by a song made by Johnny Cash. And it’s just perfect for the setting of this game. I really love how the developers used famous music from the period this game has been set in. The game takes place in late 20th century. But hey, IGN made wrote an amazing article about the music in this game. So, I advise you read that if you want to know more. I hope you enjoyed listing and reading this article as much as I enjoyed writing this. 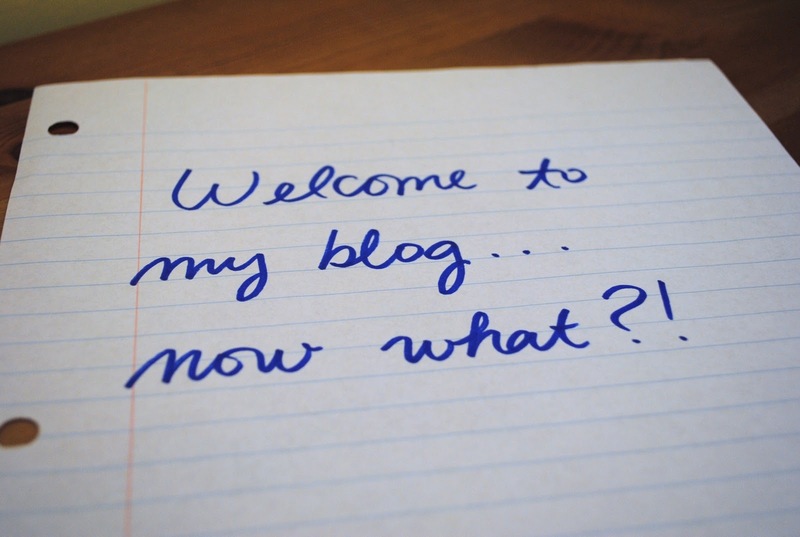 So, I hope to be able to welcome you in another article on my blog. So, until then: have a great rest of your day and take care! This entry was posted in Articles, Gaming Music and tagged 17, 2nd, ace, amatsu, and, arpegi, attorney, battle, be, bioshock, bird, blue, buttonsmashers, capcom, cash, circle, dilemma, favorite, first, game, gaming, glow, impression, infinite, jamming, jea, johnny, Jonez, jonez001, jonezjea, justice, lamentation, logic, mix, music, my, neko, NekoJonez, numbero, Of, Phoenix, review, spirit, stella, The, theme, this, time, trick, tunes, unbroken, will, Wright, zero on August 14, 2016 by NekoJonez. You would have thought that I would write my 15th game review on my blog. Yet, I decided to write it here on ButtonSmashers. Why? Well, to thank the guys for the great times they gave me and because Q gives me sometimes some free games and I think that means I need to pay him back somehow. So, I write an article on one of the best horror/adventure PC games ever made, well in the recent years. Besides, for me it’s all about reaching the milestone instead of the location. Another reason why I write it on my friends blog here is that I actually got this game for free from somebody of Arpegi. And my first impression is already on my blog. So yeah. If you want to read my first impression of this game, you can do that here. Anyways, unlike Alan here, I’m not in the dark. My dark, well black, cat is sleeping in my arms, making the time I spent on this review a lot longer then I originally planned. Oh well, the two additional collector edition episodes will have to wait. I have a game to review. In my introduction I always make it clear how I got to this game. Well, I got this game as a present. I was allowed to choose between three titles for buying someone a game. I knew the title Alan Wake from seeing it on a YouTube channel called Lazy Game Reviews. I wanted to link his video but the highly trained monkey’s of Google failed to work. (Yeah, YouTube has been bugging out for me. So, after some 500 error’s I gave up.) Anyways, enough stalling of this! Let’s get on with the review. Nothing special for the 15th, just a plain old review. And my plain old invite for you to write a comment what you think about this game and/or review. This game blew me out of the water. One of it’s many stronger points is the writing. It’s just an amazing story. Don’t go spoiling yourself because the ending is somewhat open ended and ready for a sequel. Yet, I haven’t finished the additional DLC’s yet. So, maybe I get my answers there. I actually bought myself the novel version of this game. And I’m pumped to read it. I can feel Wake’s pain. He’s a writer who lost inspiration. Sometimes I have that myself. But apart from a story with deep and rich characters, it’s extremely memorable. It makes a lot of twists and turns. Even Alan starts to doubt himself from time to time. It feels more human. The presentation of the story is what made this game for me. What’s going to happen in the (near) future of a chapter is written out on manuscript pages, some are extremely well hidden. Some provide backstory to the characters. While the pages play a very important role in the game, it’s implementation is just brilliant and how it should be. I’m so sad that I finished this awesome story and this is one that I wished I could play over and over again without knowing the story. Where is that reset button in your brain when you need it? Well, let’s talk about this game’s gameplay. And is it something where many game developers can learn from. You play the role of Alan Wake, like I told earlier, a writer who is in trouble. This game is a mostly linear adventure game, at some moments there are two or more paths, and it’s a shooter as well. But with a big twist. Before you can hurt your enemies, you must shine your flashlight on them. I only wish that not all enemies where male. But this is such an extremely big nitpick. In the game you use several weapons. A pistol, shotgun and a flare gun. You sometimes have flares and flash bangs at your disposal. And when you explore you can have more ammo as your reward. The additional batteries I found for my flashlight came in extremely helpful. Yet with this comes on of my few complaints with the game. The weapon selection is not that great. When you play it, you will understand me better. But it’s as simple as putting everything under the scroll wheel. So when you wish to switch your flash bangs to flares without switching your weapon, well though luck. And your objective is nearly always the same. Go from point A to B. Yet, the journey is always extremely different. From fighting through ambushes to driving a car to an other location, the game never feels really repetitive. This game also haves some major horror mixed in. From being in the woods with a lot of bear traps and the Taken following you to being in a hospital that is consumed by darkness. I also love how the creators of this game hid several QR codes to scan in the game. I uncovered some GIFs with it. I’m so curious with I’ll find on my second playthrough. Yes, you read it correctly, I’ll probably play through this game more then once. Not only since the highest difficulty provides all pages to find but also because of several paths I didn’t explore and I wish I did. One other complaint I have is that the driving is a bit broken. It’s too loose. You sometimes feel like you’re riding on ice. And with sudden tight corners in the road, this game makes the driving not so easy. Plus, your car can break down. Excellent, yet a damage meter is nowhere to be seen. While the ammo for your weapons is extremely scare, you’ll never be without bullets. If you don’t waste them that is. With a human jump and a limited sprint, this gameplay can’t be any more talked about I guess. On to the next segment! Like in the game. It’s also in parts. And when you reach the next part, a quick recap plays. This makes being up to speed with the story such an easy task. Let’s first talk about this game’s soundtrack. I like almost every track. Some songs at the end aren’t really my style but I won’t talk bad on the game because of this. The set the mood like it should. The music gets tense when it needs to. And the music gets lighthearted when there is drama. And the sound design is how I think it should be in all games of this genre. All weapons are such a blast to use because of this. Except, I miss a bit of a ticking sound for the flash bang. But that’s the only change I would do in the sound department. And does this game gets tense. A full 100% yes please! The further you go, the more I got on the edge of my seat. This game provides a lot of challenge. One or two parts where a bit unfair but hey, that I can let slip. The level design is excellent. I never really felt stuck and it was always clear in which direction I should head. Thanks to the ability to press “F” to focus on the part Alan was talking about makes that you have more control in your hands and that’s something I can only applaud. The only thin I should have dropped was the clicking to start an engine for light. One time it got a bit too difficult to remain fun. Oh, now I suddenly remember that I should have mentioned in the gameplay section that there are various additional collectibles to find. Well, now that I mention it here, I can say that this games it’s length is great. I have beaten it on normal difficulty in 18 hours. Yet, I know that I skipped some parts and I haven’t finished the DLC. And I truly look forward to beat this game again with the developer commentary playing in my headset. Yeah, I advice you that you play this game with a headset, it makes the experience a lot better. There are also parts in the game that you play with a side kick. And it’s AI is great. I had moments where I really was saved by the AI. And there where moments where the enemies really took me off guard. And I like how the animation helps you see enemies swarm you from different directions. This makes the possibility of cheap deaths go down so much. But before we talk about that, I want to say that I had to try some parts several times. Not because of cheap things but because I was truly taken off guard or I took the situation on with a wrong weapon. The bosses really require that you use the tactics of the weapons and ammo that you have. So to finish this review, I’ll talk about the visuals and animation. And wow, the visuals are just mind blowing. The excellent voice work really shines through here. With nice and extremely well done locations, it’s a joy to walk around in this game’s setting. Nothing feels out of place and the developer really made it in such a way that this game might be real as well. The character’s detail is also well done. I also like how you get a nice death animation when you kill the last enemy of the attacking group or when you die. The animation might have a hiccup here and there, it’s not really noticeable when you don’t pay attention to it or when you don’t look at it with a reviewer’s eye. So, let’s wrap up this special longer review here and let’s get right to my conclusion, shall we? – The driving is a tad bit broken. A damage indicator and improved driving would be welcome. – The switching of weapons isn’t the easiest thing to do. When even MiseryLC talks about this game, you may be sure it’s quality content. He didn’t play this game, he only saw a let’s play of the sequel. And I agree with my statement there. This game is a mindblowing experience. One that every one should play that likes adventure and horror games. The presentation is unique. In terms of visuals and the story. It’s different yet familiar. It’s really worth to check this game out on Steam and play it right now. I truly had trouble looking for negative parts of this game. This is one gem that should be high on everybody’s list. And it’s even a port from a XBOX360 game. Take that, a well made port. Play this game, you won’t regret it. This entry was posted in Articles, Reviews and tagged 001, a, adventure, Alan, Alan Wake, ammo, arpegi, be, beat, buttonsmashers, departure, differences, first, game, horror, how, impression, in, is, jea, Jonez, jonez001, jonezjea, like, neko, NekoJonez, pc, port, Preview, rapture, review, To, Wake, where, writer on October 29, 2013 by NekoJonez. Don’t you just love it? You are playing a game and the menu’s are all glitched up? Like in this screenshot, where the “Done” button is too stubborn to move. This is a curse that many modders have in Minecraft. But in my current playthrough of certain games I have encountered some issues with menu’s for me to talk about in this rant. But before I continue, what problems did you guys have had with menu’s before? Let me know in the comments. Maybe I’ll add them in a follow up article if I ever write one. So let’s dive into the menu’s and my rant about them. I often ask myself, why do developers not have some rules about menu’s? I recently tried out Call Of Duty and the options to change the controls are separate. Great, I looked over it since I expected them to be under an option tab. All the menu’s in the games are different. I have no big issue with that. The might try to fit the style of the game. But, the issue is mainly that all options have a different spot in each game. What really makes me nervous is when developers don’t give you a chance to play a game in a windowed mode or in full screen. Some games stay full screen anyways. Or when you can’t change the screen sizes to the screen size of your monitor. A big example of bad menu design is Overlord. Yes, for the options there are two menu’s. Awesome! But the most useful options like screen size and the changing of buttons is in the launcher and you can’t access that in game. This made me close and restart the game often to try to really fit the controls to my likeness. To accept or not to accept? Why do so many games have menu’s where you need to click on “accept” before the changes happen? For older games, I can forgive that, but in more recent games I have seen so many examples where the game changes the settings as soon as you change the setting. Even a preview button would be sweet. This extremely confuses me, to the extend where I look in every game for an accept button or I get mad went the changes didn’t happen because I missed the “accept” button. Another annoying example is how messy the Devil May Cry menu’s are. The buttons to accept options are, well displayed if they would be on a controller. What in the holy name of flying cows? Not everybody has a XBOX guys so, not everybody has a controller to attach to their computer. This actually gives me the opportunity to do a small additional rant. Who plays with a controller on a computer? For emulators, yes, but for PC games? Oh heck no, this just silly. That shows to me that you rather have the console version. It’s so silly to sit there with a controller when you have a whole array of buttons to press on your keyboard. Tooltips are a great way of letting the player know what option does what. But oh so many games don’t have this. They just throw the option in your face and you have to guess what it is. What I really like is how some sound menu’s have a sample that plays when you lower or raise the volume. All that games need to have that, it’s great to just tweak it to your hearts content. But truth to be told, you have games where the menu’s are so extreme, that it’s a game in itself to navigate them. Most sandbox games like SimCity have this. Where you are actually playing with menu’s most of the time. RollerCoaster Tycoon, the first game, has a big issue with menu’s as well. Each option is a menu. You can open a menu by almost clicking anywhere in game. It’s extremely difficult to keep track of them all and I find the screen get easily cluttered with menu’s. And there is no real way of closing them all at once. I can agree that some games are lacking options. But I will mention that in my reviews then. I think I’m going to leave it here for this rant. Actually with my conclusion. Menu’s can be messy, different and not easy to navigate. There is a lot of improvement in this part of gaming. But once you see some touches in other games, you get annoyed that some games don’t have them. I realize that I haven’t talked about how bad the menu’s can be on Kinect games, and that’s simply because I don’t own one. So, that’s all for this rant. Happy gaming and NekoJonez signing out! This entry was posted in Rants and tagged about, bad, be, blogger, broken, bug, game, games, glitching, good, in, Jonez, menu, menu's, messed, neko, NekoJonez, no, rant, should, standard, there, up on May 25, 2013 by NekoJonez.